Abbey, the American artist and Royal Academician, had strongly supported the enlargement of the British School at Rome. He died in 1911 and his widow donated £6000 for a students' hostel in his memory. 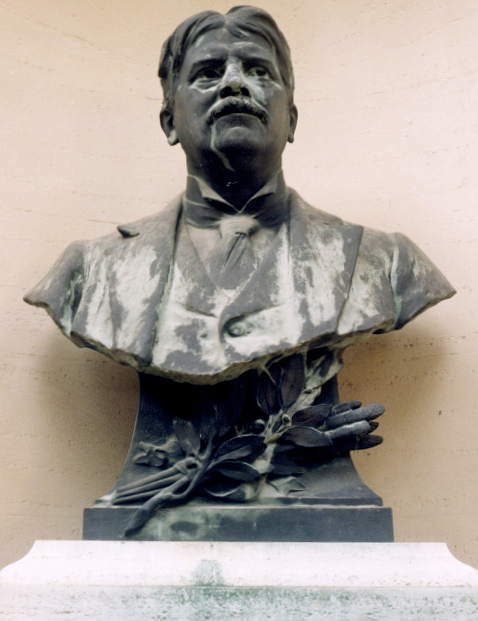 She also commissioned Brock, who was chairman of the Sculpture Faculty at the British School, to execute a bust of her husband to be placed in a niche of the hostel. 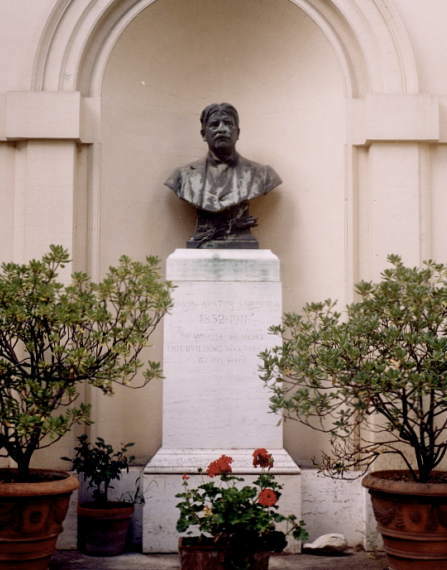 The plaster model was exhibited at the R.A. in 1917, but because of the war it was not cast in bronze and installed in Rome until 1923 (see Sankey 259-260). Photograph and text kindly provided by John Sankey, whose copyright they remain. Sankey, John. Thomas Brock and the Critics — An Examination of Brock's Place in the New Sculpture Movement. PhD Thesis, University of Leeds, 2002.